We’re about to make you say, “That’s kind of ridiculous, but why the hell not.” Ready, here goes: bourbon-infused cigars laced with 24-karat gold… See. Go up in smoke for London Cut Cigars, a new web-based stickery with enough common sense and common decency to put brown liquor and precious metals in your cigars, online now. Your course of action should be as follows: 1) Get some of these cigars. 2) Smoke them. Yep, that’s pretty much the play here. Just hit the site and figure out what works best for you—there’s the Madras (that’s their house blend), the Bourbon-Aged (that’s the one that has a bourbon-infused wrapper and was aged in a bourbon barrel) and the Black Tie (that’s the one made out of 24-karat gold… for some reason). The guys who roll these things got their inspiration from the tailors of Savile Row. Which means they obsess over every seam and stitch. 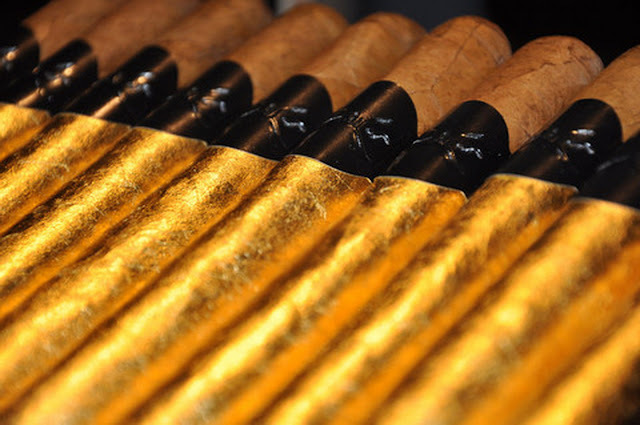 Which means… a better cigar, we presume. Taste-wise, the bourbon’s pretty subtle. It’s there, though. Just enough to make you want to pass a box of these things around a party and say, “Here. 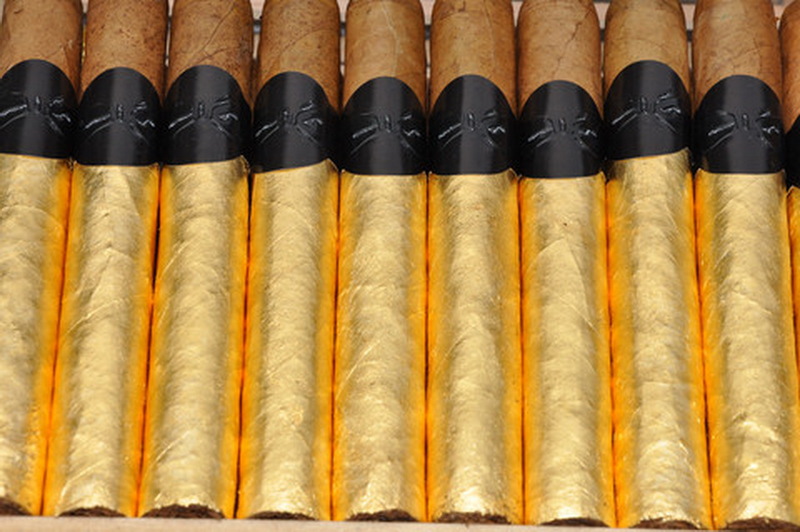 Try one of these cigars. They have bourbon in them. Oh, and before you ask… yes, the gold ones taste like gold. Which tastes like nothing, but still. 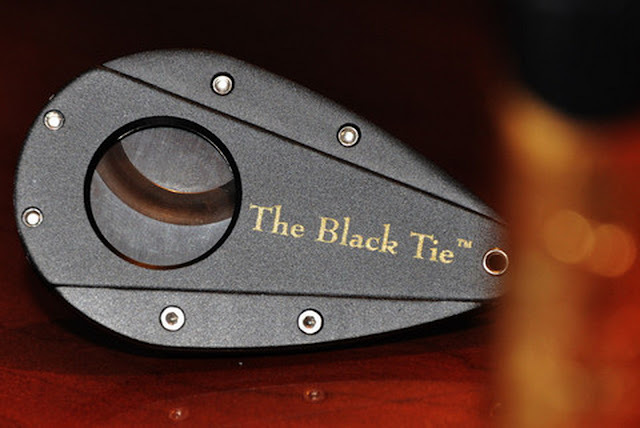 The ultimate luxury for an Executive Outing or evening with Friends. 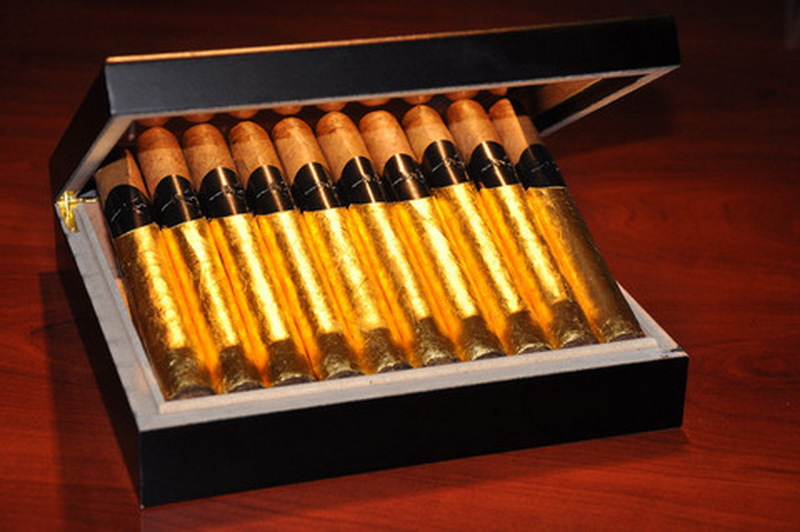 The Black Tie Box Set includes 20 fine Dominican cigars with a Connecticut shade wrapper, that are then meticulously rolled in 24K edible gold. Each cigar smokes perfectly, known for offering 2-3″ ashes to its smokers. The Box includes a Custom Black Tie Cutter and Black Glass Top Humidor.